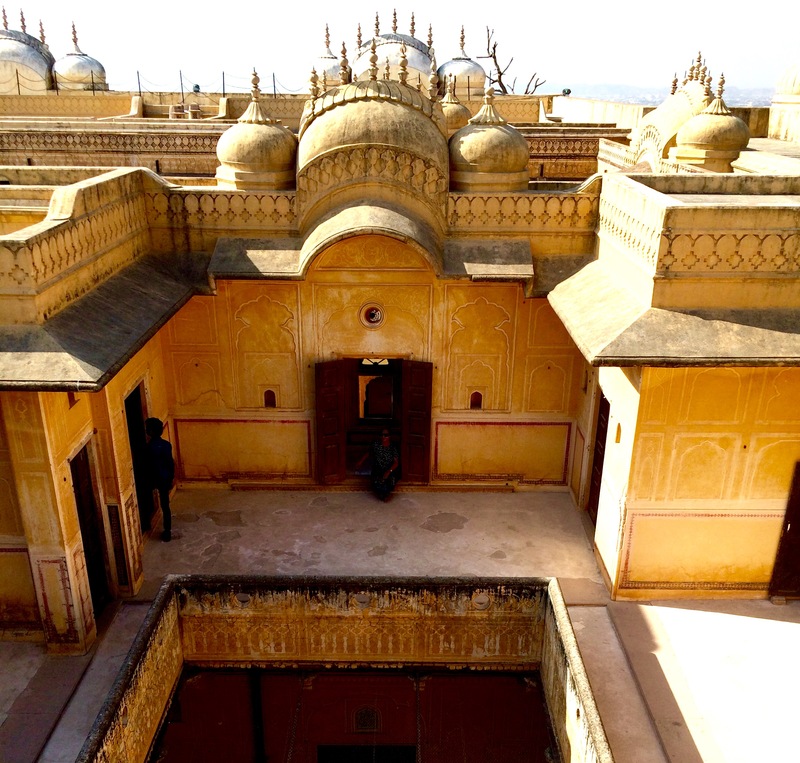 Just outside the pink city of Jaipur is the old seat of the Rajput Empire in Amer. Here, travelers will find the breathtaking Amer (also called Amber) Fort, which was added to the list of UNESCO World Heritage Sites in 2013. 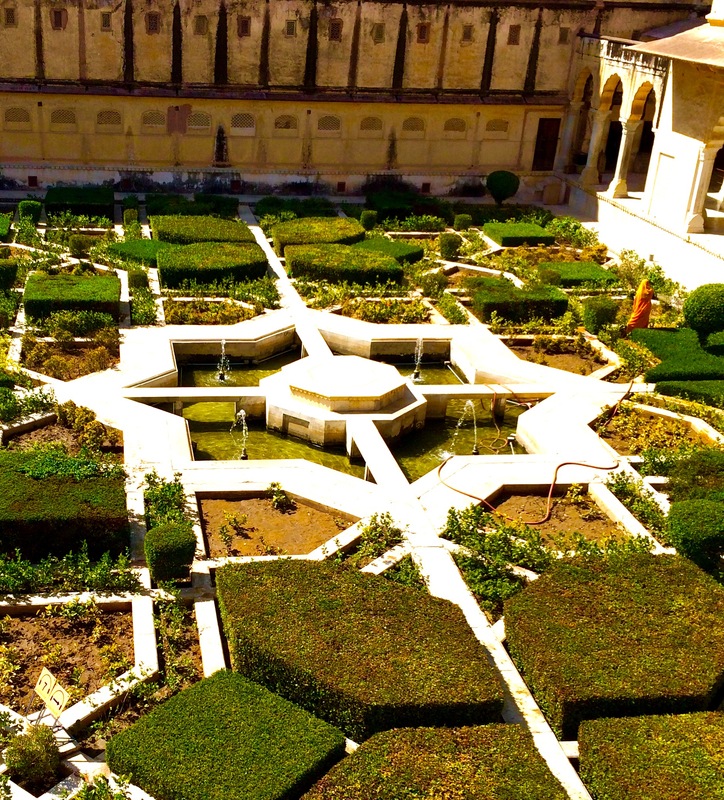 The fort, also called the Amer Palace, is a four level complex, which includes a Diwan-e-Aam(Hall of Public Audience), Diwan-e-Khas(Hall of Private Audience), the Sheesh Mahal(mirrored palace), and the Zanana Dyodi(women’s chambers). Visitors enter through the Ganesh Pol (Gate) or Suraj Pol, for just 100 rupees (just under 2 USD). This magnificent structure overlooks the Maotha Lake, and travelers can ride an elephant up the hill to the main gates of the grand palace. The Meenas people originally held the Fort. According to legend, in a cowardly act by the Rajput conspirers, the Meenas were massacred while they were performing religious ceremonies during the festival of Diwali. To this day this shameful act is acknowledged with the Rajput men wearing black on Diwali. This is the point in history when the Kachwaha Rajputs took the seat of a new empire in Amer, and eventually moved it 6.8 miles away to Jaipur. 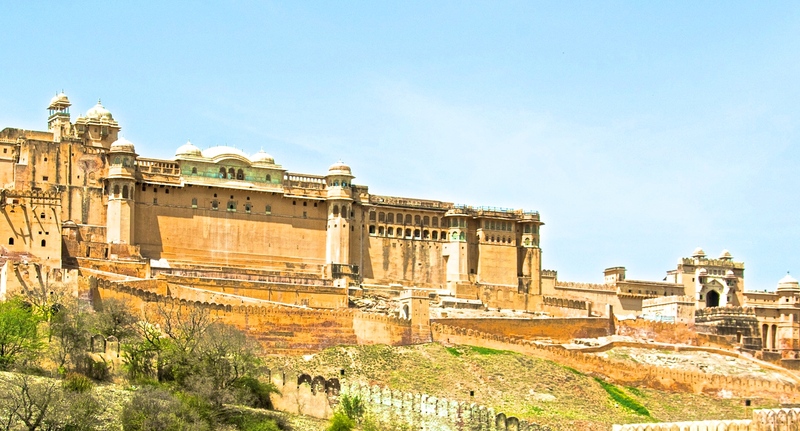 But for the 150 years that followed, the small Amer Fort that was started by the Meenas was built upon, and we are left with this stunning souvenir of Rajasthan’s history. The architecture of the fort incorporates Indian Hindu motifs along with Persian Muslim designs. The story of Jodha and Akbar, which began in Jaipur, has inspired artists throughout history. Jodha, the daughter of a maharaja at the Amer Fort, was married to the Emperor Akbar. It was commonplace for Hindu women to commit johar (suicide by jumping into a fire) when faced with the possibility of marrying or being raped by non-Hindu men. Jodha, faced with the possibility of marrying the Muslim Emperor, did not commit johar, and their union is said to have helped Akbar grow his empire. Akbar allowed Jodha to maintain her Hindu religion and this helped create religious tolerance in his empire. If only our world today could take notes from one of the great leaders of the 16th century. Non stop flights to Delhi leave from New York (15 hours), Zurich, Amsterdam, London and several other cities. From Delhi, visitors can hire a car, take a 4 hour train journey or take a domestic flight to Jaipur (Airport Code: JAI). Given that hiring a car is very affordable, the best bet would be to link up with a local travel agent to have a car and a driver to take you around during your time in Jaipur. Your hotel may also be able to arrange this for you. I was here in February and it was starting to get warm and desert sun is very hot. Usually this part of India is best visited between November and February. I would spend 2 to 3 days here, as Jaipur and Amer have a lot to offer. Most of the buildings open at 0900 and close at 1630. There are light shows at the Hawa Mahal and Amer Fort in the evenings. The one at the fort is regarded as the better one. When in India, it is prudent to dress conservatively, especially because a lot of the places you visit are temples or house temples and shrines. Bringing filtered water, some easy to carry snacks ( trail mix, nuts), sunscreen, a hat to block out the intense sun, and an open mind are a good idea. 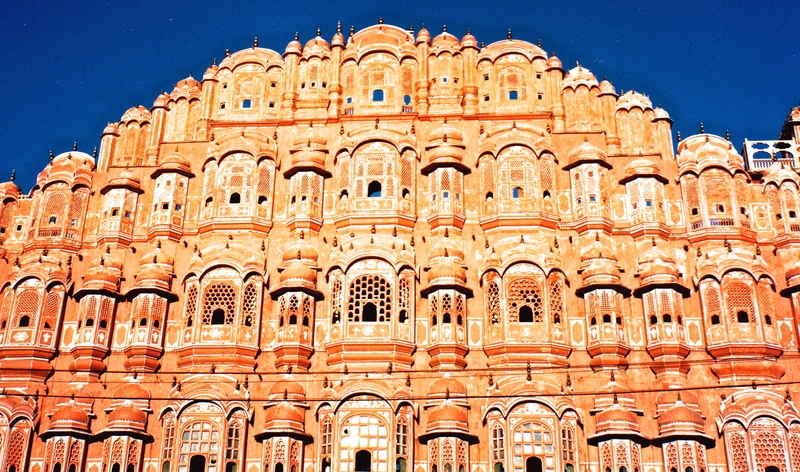 Jaipur is India’s pink city, and the name does not lie. In 1876 when the Prince of Wales and Queen Victoria were coming to Jaipur, the city painted its walls pink. Pink was the color of hospitality. The color, along with the sentiment of hospitality remain. 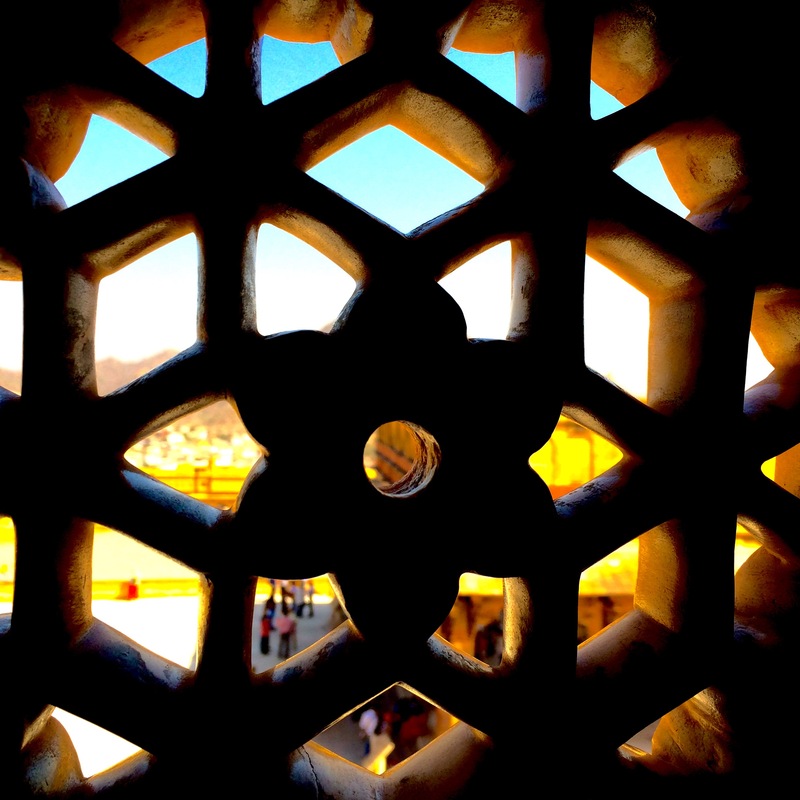 Jaipur has a plethora of places to visit and explore. Visitors can take in the City Palace, walk across the street to Jantar Mantar, a collection of 19 astronomical instruments (which still work with accuracy), and check out the Hawa Mahal. The Hawa Mahal connected to the ladies zenana in the palace and gave them a vantage point to look out over the city’s happenings from behind 953 famous Jharokhas(windows). Also, make time to take in the vistas from the Nahargarh and Jaigarh Forts, stop to take in the palace in the water Jal Mahal, visit the Birla Mandir to hang out with some monkeys, say a prayer at the Govind Dev Ji Temple, shop in Johari and Babpu bazaar and eat traditional foods. And of course, anytime you are in India, take a break from being a tourist to indulge in a hot cup of chai. 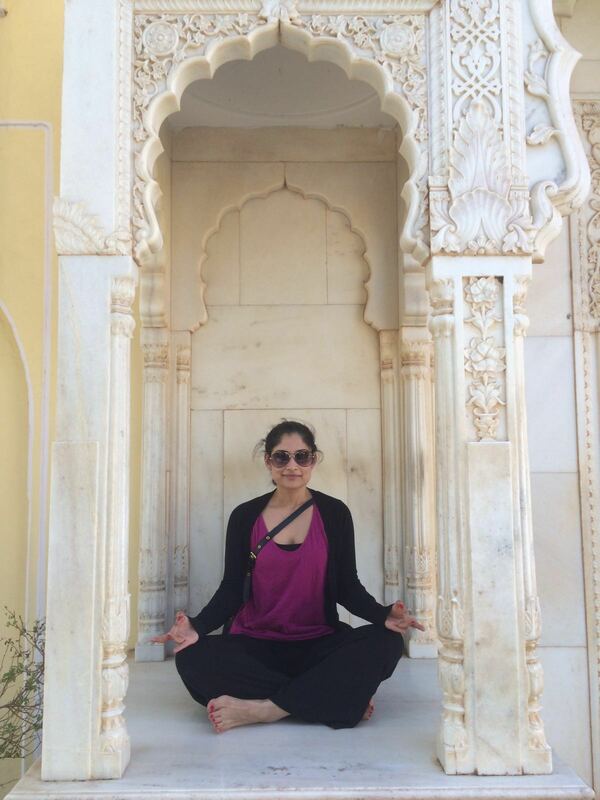 Thanks to Jasmit, a physician living in NYC, for her travel tips on Jaipur!